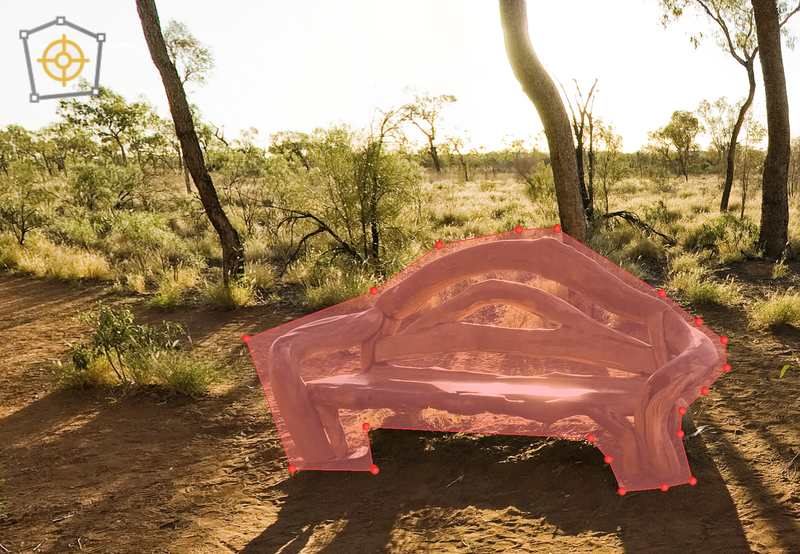 Pano2VR lets you easily draw polygon hotspots directly in the Viewer. You can use hotspots to define an area (rather than a single point) of interactivity. After loading an image into Pano2VR or opening an existing project, you can open the polygon hotspot mode in the Viewer. Double-click in the viewer to draw the hotspot. This adds the first anchor point. Now move the mouse and then click to add the next anchor, and finally double-click to add a last point or right-click to finish the shape. Once you do this the properties panel will open. A red shape means the hotspot is active, while a blue shape means it is not active. You can then later modify the hotspot’s actions in the skin editor using a hotspot template.